Launched in support of The Prince’s Trust, Zizzi’s new venture into music – the Zizzi Sessions – will be hosted each Wednesday evening from 13th April for six weeks only. The sessions will welcome a series of established music talents to perform each week with a live band. The sessions are hosted by one of Bristol’s finest vocal talents; Emily Wright who studied Jazz Performance at the Royal Welsh College of Music and Drama. She has since performed at the Glastonbury Festival Jazz Lounge, London’s Spice of Life and the City Pipe, along with many venues in the South West and Wales including the Bebop Club, Colston Hall and Wales Millennium Centre. Each week Emily will introduce Zizzi diners to up and coming diverse musicians and invite them to sing for their supper. Diners who get up and perform will be rewarded with a free main meal; Zizzi will also donate the price of the dish to The Prince’s Trust, which aims to give disadvantaged young people the confidence and skills to find a job. Martina Milburn, Chief Executive, The Prince’s Trust said: “Thousands of vulnerable young people in Britain are struggling to overcome unemployment and poverty. We’re thrilled to work with Zizzi to give these youngsters the self-belief they need to transform their lives. Just £3 can provide two weeks’ support for a vulnerable young person, helping them find their first job”. 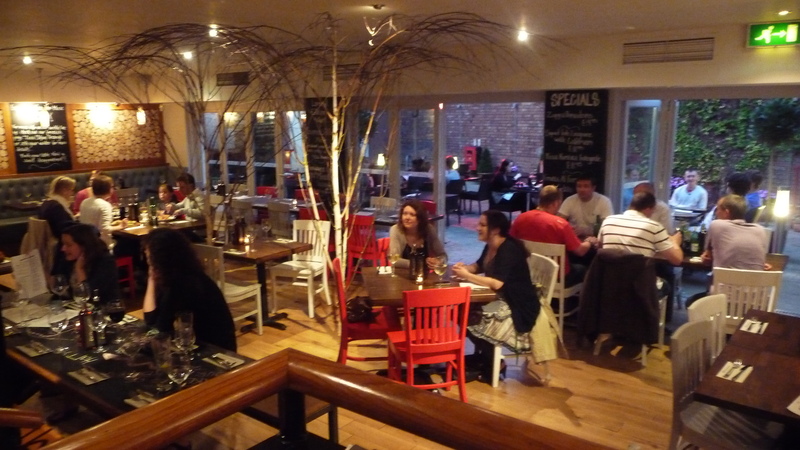 We headed to Zizzi for the second of the Sing For Your Supper sessions on April 20th and had a great evening. All diners had an A4 sheet of paper on their tables featuring the lyrics of four songs: Summertime, Fly Me To The Moon, Cockles And Mussels, and Hey Jude. An impromptu stage area in the middle section of the restaurant housed the band, with Emily kicking off the evening with a combination of covers and her own material. One guy’s rendition of Cockles And Mussels while we were there earned him a free main course, and The Prince’s Trust the equivalent value. Just as we were leaving, a small girl of around 8 years old got up to “sing for her supper”, and I’m told that there were more brave people joining in later on in the evening! If you fancy heading down for one of the upcoming sessions, give Zizzi (Clifton Triangle branch) a call on 0117 929 8700.